This non-expensive novel ($3 on amazon.ca) is truly a gift of reading (or a steal, whichever way you want to look at it). It’s the story of a guy who gets stuck in the “friends” zone by the girl he’s madly in love with, and how that plays out over a couple of years. Did I mention he’s also very funny? Oh! You have to read it – if you don’t laugh at least three times out loud with this book, leave a comment. 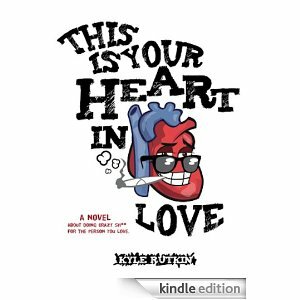 This entry was posted in Uncategorized and tagged book, cheap buy, funny romance, Kyle Rutkin, love story, this is your heart in love by Phoebe Sean. Bookmark the permalink.